An ongoing collection of unsolved hit-and-run cases, with a focus on car/pedestrian incidents, from across the country since Jan. ‘010. If you know something about any of these incidents, or one that I’ve missed, do the right thing and call the police, even anonymously. 4893-94. Detroit, Mich. March 15. Man and woman fatally struck by a light-colored Grand Am or Grand Prix which fled the scene. 4895. Grand Rapids, Wyo. March 15. 52-year-old cyclist injured when struck by an unidentified vehicle which fled the scene. 4896. Pennsauken, NJ. March 16. Man who stopped after fatally striking pedestrian critically injured when struck by a a 2002-06 Ford or Mercury car, Taurus or Sable, which fled the scene. 4897. Paris, Maine. March 15. 16-year-old male fatally struck by an unidentified vehicle which fled the scene. 4898. Orange, Cal. March 15. Woman in her 60s fatally struck by a white 2000 to 2002 Acura or Toyota four-door sedan which fled the scene. 4899. Redfield, Ark. March 16. 56-year-old cyclist critically injured when struck by an unidentified vehicle which fled the scene. 4900-02. Pittsburgh, Pa. March 16. Three people injured when struck by a U-Haul van which fled the scene. 4903. Sioux Falls, SD. March 15. Man injured when struck by a SUV which fled the scene. 4904. Concord, Cal. March 16. Woman fatally struck by an unidentified vehicle which fled the scene. 4905-09. Chapel Hill, NC. March 8. Five pedestrians injured when struck by a silver Audi A4; driver of which fled the scene. 4910. New Haven, Ct. March 18. 8-year-old girl injured when struck by a white van which fled the scene. 4911. Hagerstown, Md. March 17. 58-year-old woman fatally struck by an unidentified vehicle which fled the scene. 4912. Naperville, Ill. March 15. Pedestrian injured when struck by a white four-door sedan which fled the scene. 4913. Dubuque, Iowa. March 16. 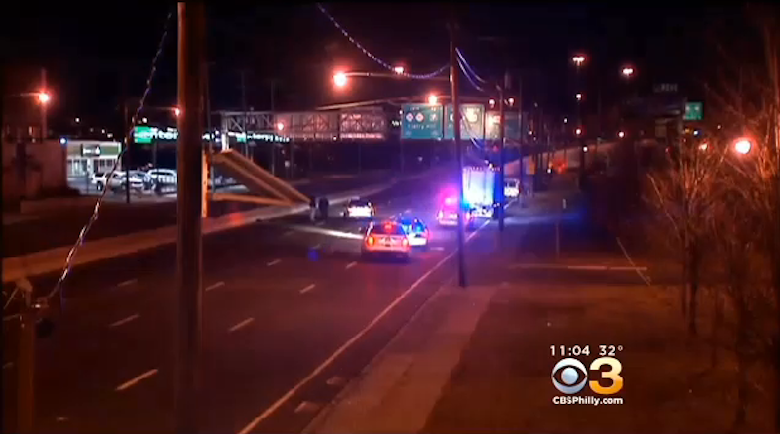 64-year-old man injured when struck by a grey or silver four-door sedan which fled the scene. 4914. Jacksonville, Fla. March 18. 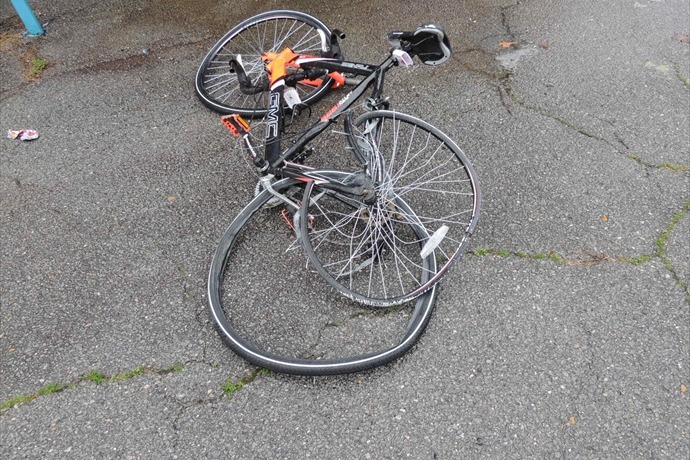 51-year-old male cyclist fatally struck by an unidentified vehicle which fled the scene. 4915-16. Las Vegas, Nev. March 18. Two people fatally struck by a pickup truck which fled the scene. 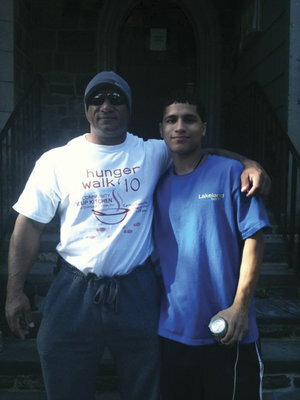 “He just wanted to go out and unwind,” said Jorge Monroig about his brother Omar. On March 21, 2012, Omar had celebrated his birthday quietly with his wife and son. Two days later, on a Friday, “He went out with his coworker, just to have a few cocktails and relax,” said his brother. They were heading to Havana Dulce Restaurant on Tonnelle Avenue in North Bergen. Omar Monroig never made it. The coworker walked across Tonnelle Avenue first, just north of 51st Street at a little before midnight. Omar followed behind. A York man was arrested after his vehicle struck a bicyclist and a van in York, and he left the scene of the crash, according to court documents. Luis Omar Ojeda-Santiago, 34, of the 200 block of West Hope Avenue, was charged with accidents involving death or personal injury, accidents involving death or injury while not licensed, duty to give information and render aid, and driving while operating privilege is suspended or revoked. Ojeda-Santiago was committed to York County Prison in lieu of $2,500 bail. Amarillo, TX – The Amarillo Police Department wrapped up a four month investigation of a fatal hit and run. Last November, police arrested and charged a 15-year-old driver for hitting and killing Amarillo resident Geoffrey Slover on November 10. Police arrested and charged the passenger who is said to have been with her at the time of the hit and run on Thursday. Police charged 20-year-old Austin West with criminally negligent homicide, tampering with evidence and accident involving injury or death. KENT COUNTY, MI – Few things are more frustrating for traffic crash investigators than trying to piece together the details of a serious-injury or fatal collision that remains unsolved. But when the case is a hit-and-run and the driver responsible is still out there – living life, not facing the consequences while another family can be left grieving – it’s particularly hard to take. A Killington man charged in a fatal hit-and-run crash is back in jail on a charge of violating his conditions of release. Michael Debellis, 27, pleaded innocent in December to a felony charge of leaving the scene of a fatal crash. He was freed on $25,000 bail and conditions that he not drive or drink alcohol. Vermont State Police said that shortly before midnight Friday, they conducted a “conditions check” on Debellis and found he had a blood-alcohol level of .036. Police said he was tested again 30 minutes later and found to have a level of .033. The seizure of hit-and-run suspect Daniel Loughnane’s pickup truck from outside his Ashley home by Wilkes-Barre police was illegal, a judge ruled Monday. Luzerne County Judge Michael T. Vough ruled Loughnane’s truck cannot be used in his trial connected to the death of Rebecca McCallick on Hazle Street in Wilkes-Barre on July 24, 2012. Vough also ruled visual and sound identification of the truck by crash eyewitness, McCallick’s boyfriend John Schecnk, is also not admissible because those identifications came after the truck was illegally seized without a search warrant on Aug. 8, 2012. The New York Police Department charged a 23-year-old motorist Monday with a hit-and-run that resulted in the death of a 5-year-old boy in Brooklyn. Elizabeth Mayard allegedly backed into Roshard Charles as he was crossing the street with his family in the middle of a Crown Heights block Sunday night, police said. Ms. Mayard left the scene but later returned at the urging of a witness, a law-enforcement official said. A 22-year-old Elmira man faces multiple charges, including drunken driving, following a car-pedestrian accident in Elmira Monday night that critically injured a pedestrian. Police released no information on the victim but witnesses told the Star-Gazette it was a 27-year-old woman. Santo later admitted he was under the influence of heroin at the time of the collision and police found more of the drug in his possession, along with Xanax pills, cops stated. NEW WILMINGTON, Pa. (AP) – State police are searching for an unlikely suspect in a western Pennsylvania hit-and-run accident: the driver of an Amish buggy. Caught, convicted, court appearance or car-on-car in … Scarborough, Maine; Jackson County, Oreg. ; Kirksville, Mo. ; San Luis Obispo, Cal. ; Trussville, Ala.; Colorado Springs, Colo.; New Buffalo, Mich.; Panama City, Fla.; Fort Worth, Texas; Santa Rosa, Cal. ; Frankford, NJ; San Diego, Cal. ; East Pennsboro Twp., Pa.; Lincoln, Neb. ; Henrico, Va.; Moulton, Ala.